NEXT | How fast should new content be released? By burning Teldrasil, Sylvanas not only pushed the Alliance and Horde into full-scale war — she launched a furious debate in the community as to why she did it. Was Sylvanas to be turned into another one-dimensional Horde villain? As the Banshee Queen, Sylvanas was never good, but she wasn’t entirely evil, either. But burning Teldrassil didn’t fall into the moral shades of gray Sylvanas was known for. Yet according to Alex Afrasiabi, this is what Sylvanas has been like all along. After all, Sylvanas ordered the events Wrathgate, and burning Teldrasil — while it’s certainly worse — isn’t out of character for her. If you just did a double take, you’re probably not the only one. Sylvanas was certainly suspect in the Wrathgate attack, but it was officially the work of Varimathras and Grand Apothecary Putress. But Afrasiabi is clear on that point: Sylvanas directly ordered Wrathgate. I’ve heard these discussions on the internet about ‘she’s going off the rails’, but is she? I’ve been writing Sylvanas personally since 2006, and this is pretty much – the Wrathgate and the Blight and the Forsaken – in character. Those were all under Sylvanas’ orders. What we’re seeing now is an escalation of the plans Sylvanas has, clearly, and we’re in the middle of that. The clarification — or retcon, depending on how you look at it — supports the idea Sylvanas hasn’t changed in Battle for Azeroth at all. No, she’s been this way the whole time. Wrathgate and the subsequent Battle for Undercity always seemed a convenient way to get rid of Varimathras while pinning the blame on a rogue apothecary, washing Sylvanas’ hands of any wrongdoing. Now we know it was a master stroke from a brilliant strategists. The revelation, should it become known, has implications for several characters starting with the Lich King himself, Bolvar Fordragon. This makes Sylvanas responsible for his demise as a human and ultimate resurrection by the red dragonflight. If he doesn’t already hate her, he will now. 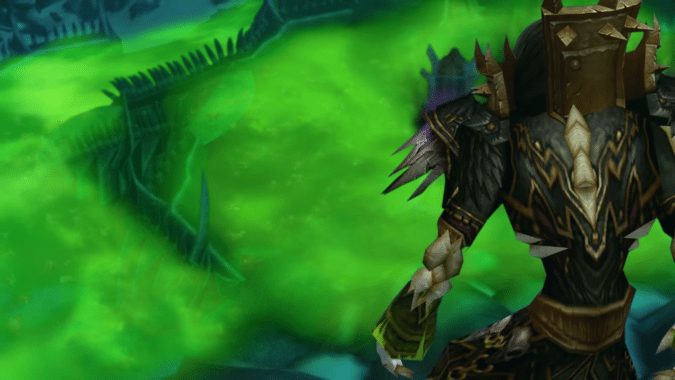 It also adds a new complication to the story of Varok Saurfang, who turned his back on the Horde when Sylvanas ordered the use of the blight on Undercity. How will the old solider react knowing Sylvanas willingly used the Blight on Horde soldiers — and his son Dranosh — in Northrend? Most importantly, this adds a new perspective for Horde champions as Battle for Azeroth continues. Soon they’ll have to choose where their loyalties lie. If they choose Sylvanas, they’ll do so knowing exactly what she’s done. My own Tauren Druid, who thankfully was in Silithus when the Banshee Queen set the torch to Teldrasil, already had seen enough to choose Zekhan and Saurfang. But what about the others? Does this new information change the way you view Sylvanas? Will it affect your choice?